On behalf of the Inner City Helping Homeless charity, we would like to thank all parents, guardians and pupils for your incredibly generous and thoughtful donations of shoeboxes last Friday morning. 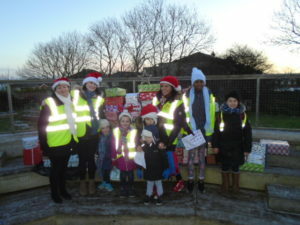 It was a very cold morning and it made us realise how important your support to this charity is. 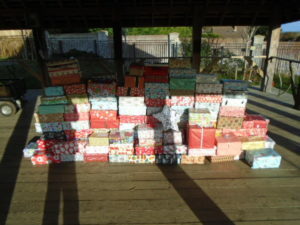 We are very pleased to tell you all that 234 shoeboxes were donated. Well done everyone and thank you! 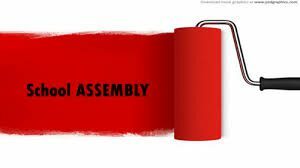 The next parent assembly is Friday 8th of December at 8.40am for junior infants to second class and at 10.30 am for 3rd to 6th class. The student council asked me to remind you about the shoebox appeal also. Shoeboxes are being collected by the charity Inner City Helping Homeless that day. Dear Parents, school finishes for all students at 1.10pm on Wednesday 15th and Thursday 16th November to prepare for parent/teacher meetings. After school clubs will be cancelled on Wednesday 15th and Thursday 16th November. An extra club will be added on at the end of term to make up for this. Please ensure your child is collected at 1.10 on these days. Educate Together’s awareness and fundraising event is on Friday the 6th October. Educate Together schools all around Ireland celebrate what it means to be an Educate Together school and fund raise for our school Patron. In our school we will have a pyjama day on Friday where the children will bring in a toy or item that means a lot to them. We will share stories about what makes the item special to them. 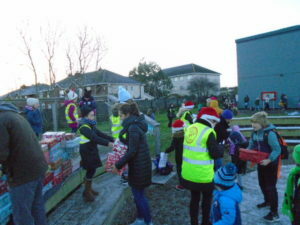 We will also collect €2 from those that wish to donate. Parents, Due to water outage in this area of Skerries, the supply in school is cut off. We have been informed by Irish Water that water supply will be restored by 11am today. This is obviously a health and safety concern to us. For any parents who wish to collect their children, they are welcome to do so. All children in school today will be supervised as normal until the normal finishing times. Reminder about the extended bank holiday. School closes at the normal times on Fri 2nd of June and re-opens on Wednesday 7th June at 8.30am. Have a nice bank holiday weekend. at 8.40am for Jun Inf-1st class & 10.40am for 2nd-6th class. We will present Pupil of the term also. We look forward to seeing you on Friday. It will be open from 8.30am till 9am and from 1pm till 2.30pm both days. We would like to inform everyone we now have a bicycle lane and a Pedestrian lane clearly marked at both entrances. Please use either one to gain access to the school grounds. We also like to inform and remind you, that in heavy rainfall the footpath nearest the bike shelter can become flooded and we ask you to use the other entrance at the other side of the school, nearest Seolta where possible on these days. The staff car park is for staff use only unless you have been given a parking permit from the school. To apply for a parking permit, applicants need to email [email protected] requesting the reason needed for a permit. Permits are issued generally to parents who have a mobility issue or whose child has such an issue. The Board of Management will issue a permit once they have considered the written/emailed request. 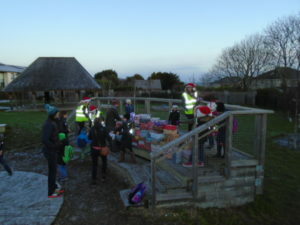 The designated drop-off areas at the front of the school, in Seolta car park and teachers’ car park are for those with disabled access needs, contractors visiting the school, after school club leaders (only on club business and not at any other times). Parents collecting their sick child before the end of school day are also allowed park in these drop-off zones. Please do not park in the disabled car parking spaces at any time if you do not have a permit. There are parking areas close to the school: parking in the Skerries Point shopping centre which is free parking is recommended or on the road outside the school on the school side of the road. Please do not park or drop off children at the zig-zag lines both sides of the designated crossing points or at the traffic lights. We appreciate your co-operation with this as we endeavour to keep the school grounds a safe place for your children.